A killer elite–six assassins–are on the loose. So is Alex Cross. 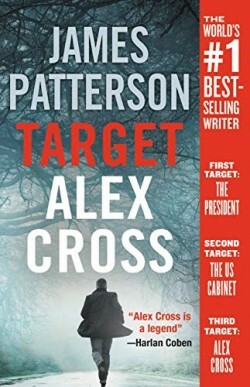 A leader has fallen, and Alex Cross joins the procession of mourners from Capitol Hill to the White House. Then a sniper’s bullet strikes a target in the heart of DC. Alex Cross’s wife, Bree Stone, newly elevated chief of DC detectives must solve the case or lose her position. The Secret Service and the FBI deploy as well in the race to find the shooter. Alex is tasked by the new President to lead an investigation unprecedented in scale and scope. But is the sniper’s strike only the beginning of a larger attack on the nation?